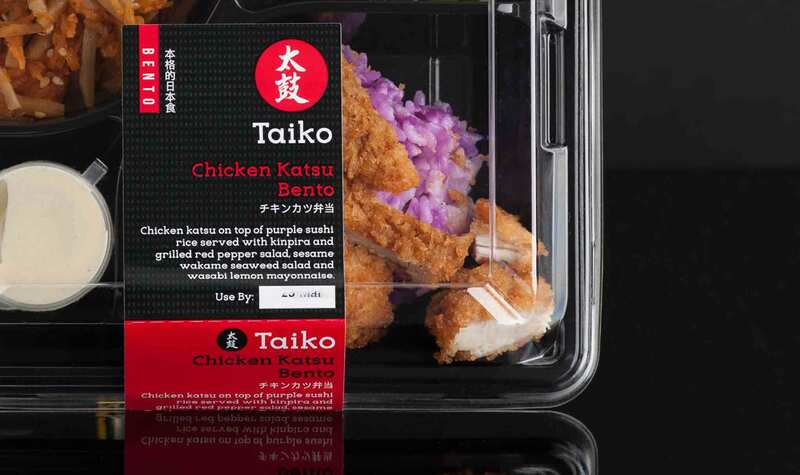 Taiko Foods are known for making authentic and accessible Japanese meals. 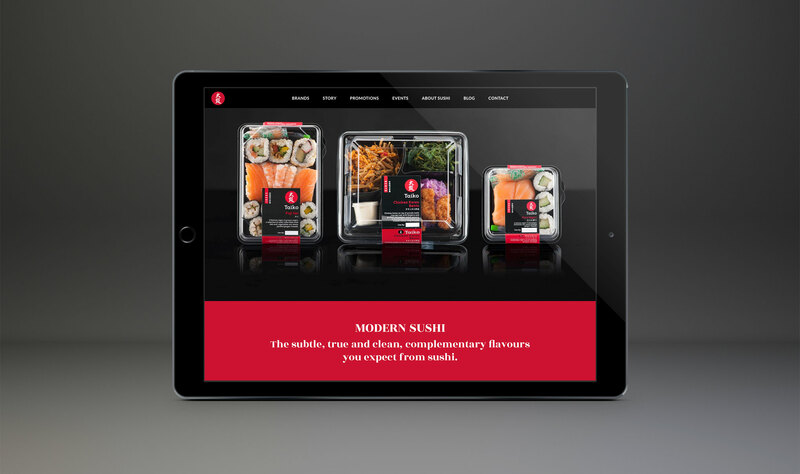 They came to us ahead of the launch of their new ready-made sushi boxes with a view to craft a new brand identity, food package design and website. 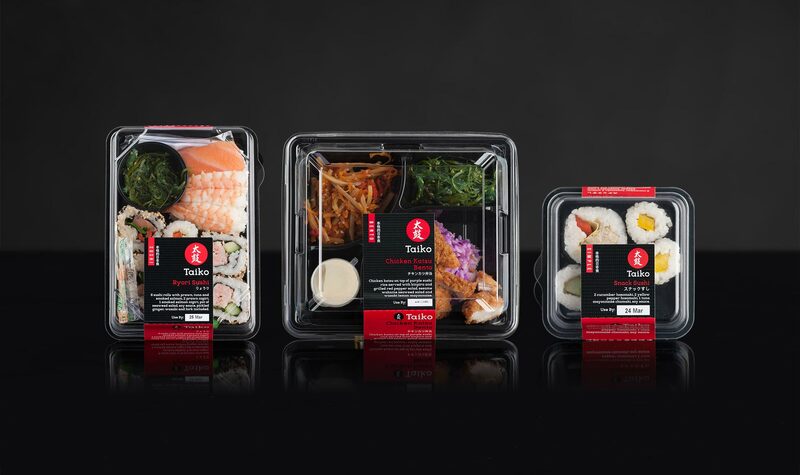 They needed us to balance the tradition of authentic sushi with the requirements of modern, on-the-go food. 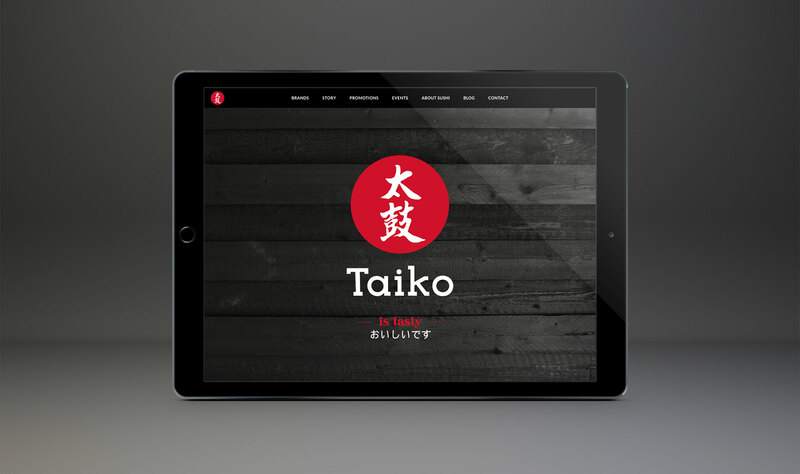 We wanted to stay true to Taiko’s Japanese heritage and create a premium, authentic brand. We knew this had to have cut-through when compared to supermarket own-brands and less elegant competitors. 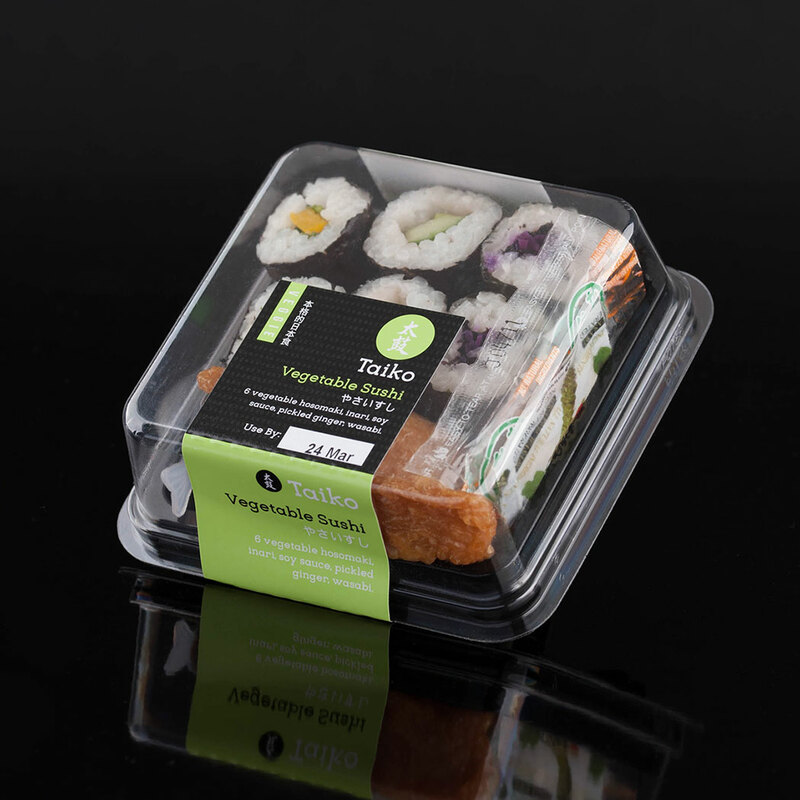 Our main inspiration was the theory of sushi itself: to marry the packaging with the product inside by choosing precision, clarity and restraint in everything we did. Every aspect of the new brand design reflects classic Japanese culture, from the stark, black wood backdrops to the beautifully fluid calligraphy. The accent colours are heavily indebted to tradition too, with ‘koki-hi’ (deeply-scarlet) and ‘moegi’ (young-long green onion) in particular standing out. The subtle geometric background patterns even evoke the texture of Kimino fabric. The result is a brand steeped in history, which understands its craft, but one that’s been lifted and brought up to date with modern techniques. 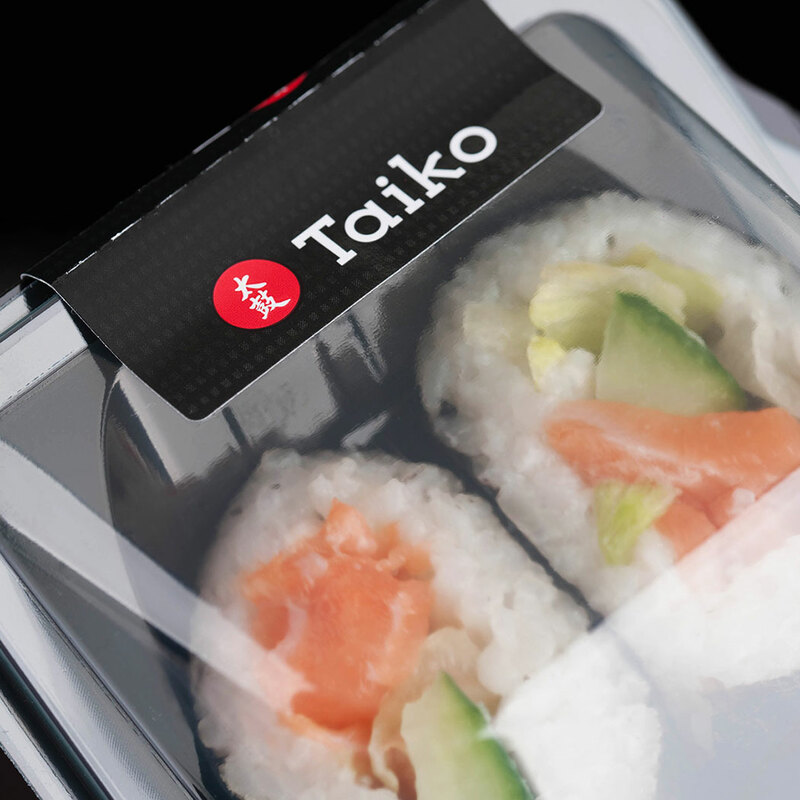 The final stage of our project with Taiko was to look at their corporate website and integrate Taiko Sushi with their other brands. 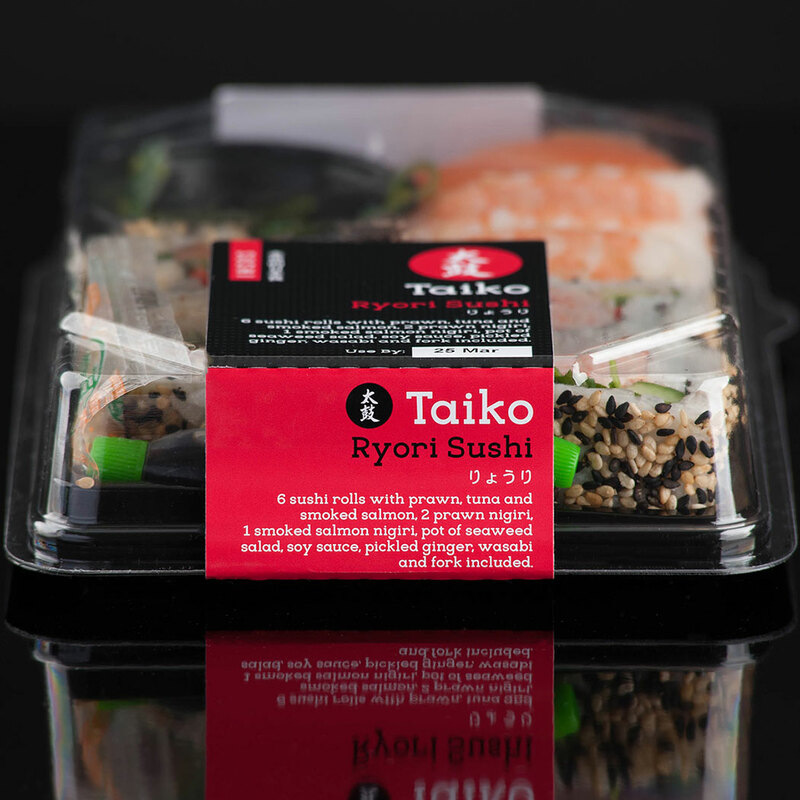 To make sure everyone who came into contact with the brand was left salivating, we photographed Taiko’s entire product range in-house, giving the whole site an authentic, modern and desirable feel. 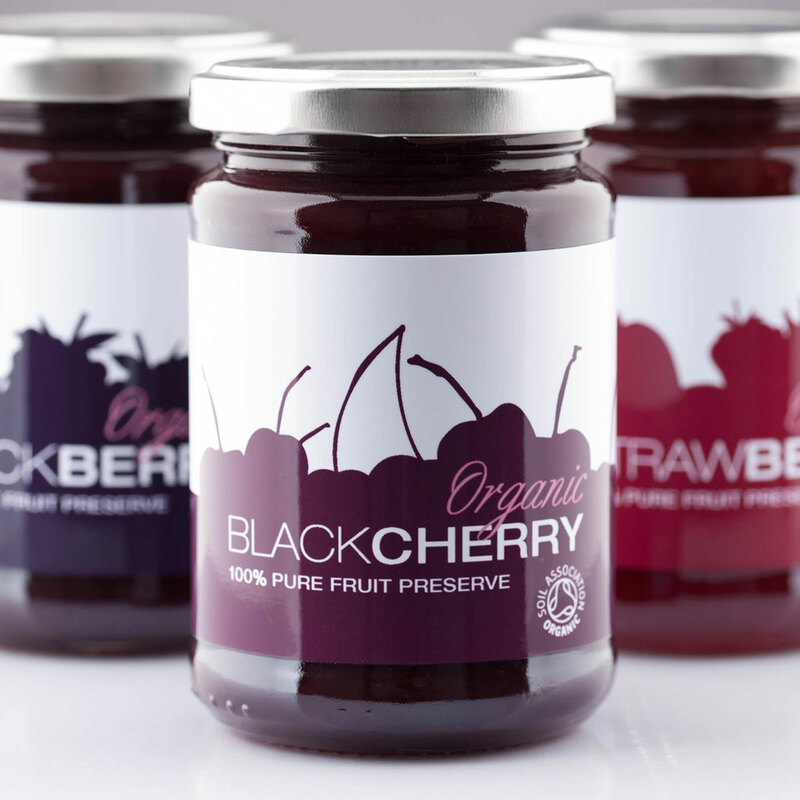 The new brand identity, packaging and website have been a rousing success. As sharp and invigorating as yuzu, with the warmth and familiarity of wasabi. 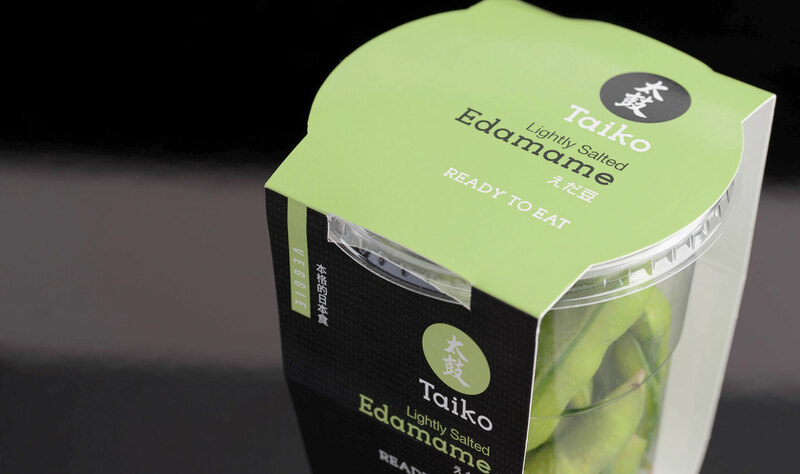 Since appearing in shops in March 2017, Taiko Sushi has seen a substantial increase in sales. Quite a feat when they’re competing with traditional cold-weather comforts like soup.